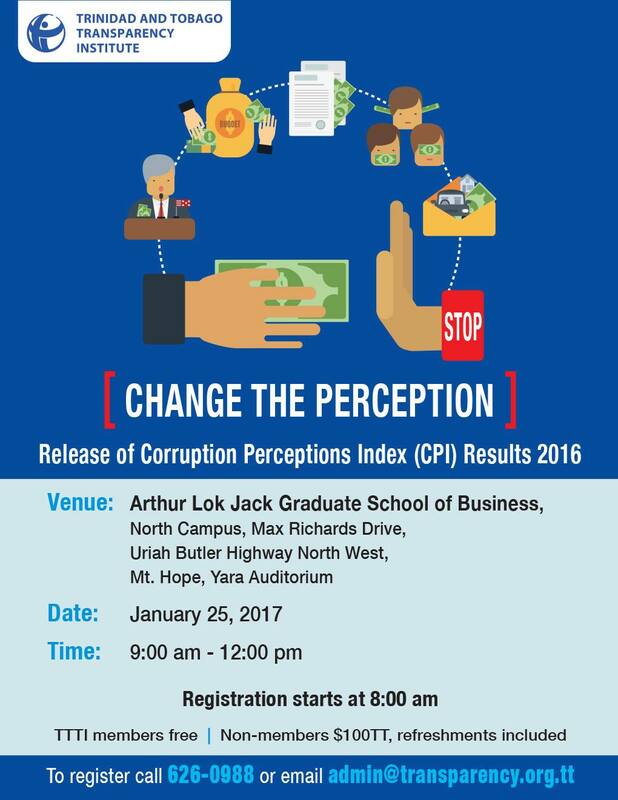 TTTI will launch the Corruption Perceptions Index (CPI) 2016 on Wednesday, January 25 at the Arthur Lok Jack Graduate School of Business. This event is free for all financial members of TTTI, but the cost for the public is $100. Call 626-5756/626-0988 or email admin@transparency.org.tt or cpi2016ttti@yahoo.com to register.